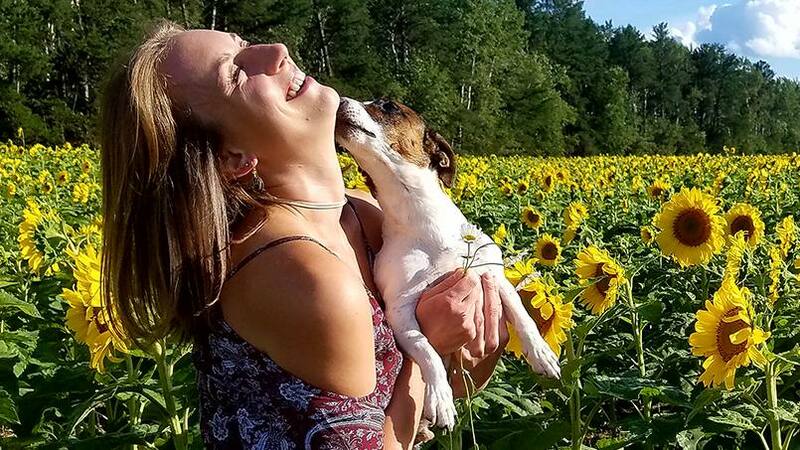 It's been nearly two years since Amber Kohnhorst fell down a cliff while hiking alone in Arizona. The Mayo Clinic nurse has returned to work with a new perspective on being the patient. 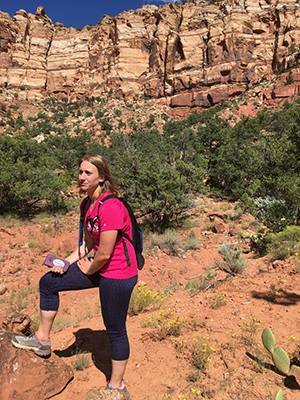 Amber Kohnhorst was quite literally between a rock and a hard place. 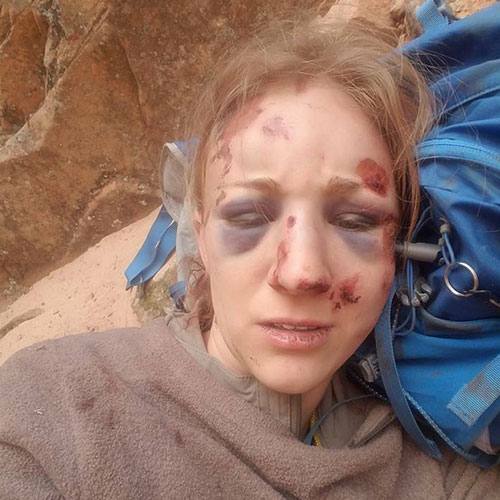 She'd fallen while hiking alone in Cane Beds, Arizona, landing 100 feet below the path she'd been on. Now she was lying in "a narrow, rock-walled dungeon, maybe 10 feet by 10 feet," Rochester Magazine reports. Amber, a nurse at Mayo Clinic's Rochester campus, assessed her injuries, which included a broken nose and pelvis, and a fractured back. She also assessed her supplies, which included some trail mix, an empty water bottle, and a whistle. And she assessed her overall situation. She was alone, broken and — with no cell signal — had no way to call for help. Amber knew her survival lay above her, where she had a chance to be seen by rescuers or hikers. "So she crawled, screaming through the pain," reports the magazine. "When I started crawling, I thought I was going to crawl my way out of there," she says. "But when I got halfway and realized I was trapped, reality sunk in. Either someone would rescue me or I would die there." Happily, as we've reported, Amber was rescued. She was taken to Dixie Regional Medical Center in Utah and later transferred to Mayo Clinic, where she began a recovery that included 10 weeks of bedrest followed by physical therapy. "She went from lying in a bed to sitting in a wheelchair. Then from relying on a walker to walking with sticks. And then to walking independently," Rochester Magazine reports. Nearly two years after the accident that nearly took her life, Amber is now doing much more than walking. She's returned to work at Mayo Clinic and tells Best Friends blog that "being a patient has made her a better nurse." The blog reports she's also resumed volunteering with two organizations close to her heart: "Can Do Canines (an organization that trains service dogs for people with various challenges) and RideAbility, which offers therapeutic horseback riding for children and adults with special needs." But there are differences in Amber's life now, too. Some, like the chronic pain she lives with, are challenging. Others, including "a very supportive, caring boyfriend," that Amber tells us "snuck into my life last September," are blessings. It's the blessings that she chooses to focus on. "Recovery has been long. But I'm pretty fortunate," she tells Rochester Magazine. "Every day is a gift." That's a perspective she now shares with others through speaking engagements. "I don't want my accident to define me," she tells the publication. "But it was a big hurdle to get over, and it is something that really shaped me into the person I am today." And made her a person with a powerful story to tell — not only about a fall, but about what it means to get back up again. You can leave a powerful comment below. Then, use the handy social media tools atop this page where you can share this story with others. Learn more about physical medicine and rehabilitation at Mayo Clinic.